When your schedule is full, an inconvenient electrical problem is the last thing you need. For speedy and effective repair in Halifax, Dartmouth and the surrounding area, call Bob Doucett Electrical Services. For over 15 years, Bob Doucett Electrical Services has provided Halifax and Dartmouth homeowners and businesses with prompt service and friendly customer care. 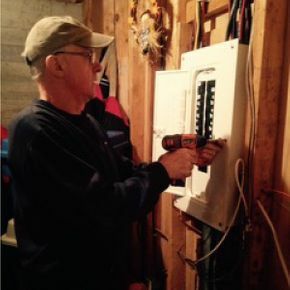 Lead electrician Bob Doucett brings over 35 years of electrician experience to your project. He prides himself on making sure your electrical job is handled as efficiently and as cost-effectively as possible. For fast electrical repair at a great rate, give us a call.